An analysis of euspen’s role in stimulating innovation in precision, micro, and nano manufacturing in the medical device sector. Broadly speaking, the huge global medical device sector is likely to be affected by three key trends in the short to medium term. First, the drive for technology focused on earlier and more accurate diagnostics; second, advances in IT/e-health technologies; and third miniaturisation of devices. It is undoubtedly fair to say that one of the key sectors driving innovation in the area of micro manufacturing is the medical device industry. Demand for minimally invasive curative and diagnostic procedures is growing exponentially as patients and medical service delivery organisations alike strive for a reduction in operation and recovery times, and an increase in the accuracy of diagnosis. Because of this, over the last decade especially, medical product manufacturers have been designing (and seeking to manufacture) smaller and smaller components, with thinner and thinner walls, and complex and minute features. Couple this with the overarching demand from patients and healthcare providers to rationalise the costs associated with medical treatment, and medical device OEMs are constantly on the lookout for cost-effective and efficient manufacturing processes. The heat is on for medical device OEMs to maintain profitability despite downward pressure on prices, and this will be achieved as the decade progresses through the development of innovative products that will fulfil the ever more exacting requirements of end-users. Demand will increasingly be for versatile devices that will embrace the potential for “smart” diagnostics and treatment presented by the proliferation of so-called “big data”; and devices that provide cheap alternatives to traditionally used but expensive diagnostic and therapeutic devices. Very often, the personnel within medical device OEMs that are developing such new and innovative products are medical scientists, not medical product manufacturers. So saying, they need to be able to access the best-fit manufacturing processes, and this is usually done by engaging specialist medical micro manufacturing subcontractors that can take original design intent and convert it into viable and marketable products quickly and cost-effectively. Micro moulding is today the solution used by many medical device OEMs to achieve their exacting manufacturing requirements, it being a technology that can produce tiny, complex, and feature rich components, efficiently, cost-effectively, and in volume. In fact, it is perhaps not overstating the case to say that the correct use of micro moulding technologies is today what gives successful medical device OEMs competitive advantage, and drives product innovation and profitability. Micro moulding can provide high quality parts with high dimensional accuracy that are crucial for sensitive medical applications such as specialist devices for cancer treatment and diagnosis, small moulded catheter tips, micro-needles, small surgical instruments, dental implants and infection control devices, and staples, to name but a few. Advances in material development — with the introduction of high-performance polymers that have enhanced strength characteristics, toughness, thermal properties, and chemical resistance — mean that numerous medical device OEMs are looking to micro moulding as a means of replacing products and components previously machined in metals, ceramics, or glass. This is especially the case in low- to medium-volume applications where machining was until relatively recently often seen as the only cost-effective manufacturing alternative. It is the case that throughout history, medical advances have been made due to technological innovation, and in effect, micro moulding is the latest technological innovation that enables the design, manufacture, and clinical use of groundbreaking medical devices. Not only will the technology allow for the manufacture of complex micro parts, but manufacturing in plastic in many cases reduces part cost, reduces weight (a key consideration for the medical sector), and allows for functioning products to be made using fewer overall components, which in turn reduces assembly time and cost. For the medical device industry in the developed world that is learning to live with such issues as increased taxation levied on the sale of medical devices in some regions like the United Sates, and with the increased power and purchasing muscle of Group Purchasing Organisations (GPOs), any technology or manufacturing solution / process that allows for the attainment of product functionality while reducing costs is to be welcomed. It is here that micro moulding has such a role to play in this important sector. The use of such cost-effective and sophisticated technologies (coupled with on-going healthcare reforms that are dramatically increasing the number of insured citizens, and a continually aging population) will help to mitigate the pressures on the profitability of medical device OEMs. Micro moulding in the medical device sector, however, is often not straightforward. 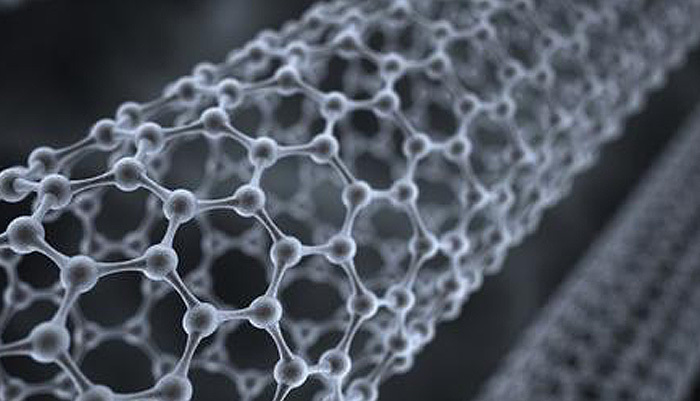 In the area of material usage, for example, micro medical devices often require the integration of different materials, such as thermoplastics, biocompatible metals, and silicones. Micro manufacturing solutions often lean towards the use of complex secondary assemblies and overmoulding techniques, all of which require an innate understanding of the processes — especially a knowledge of the bonding and compatibility of different materials — and the use of state-of-the-art manufacturing technologies. For any medical device OEM seeking to work with such exacting technologies and procedures, it is vital that they locate and work with experienced micro moulders and sector professionals that are aware of, work with, and are experienced in trouble-shooting the implications of tool design, material choice, and the numerous processing complexities that exist in the area of micro moulding. Key to success is that medical device OEMs do not just view their chosen micro moulder as a job shop, but rather that they partner with the moulder at the earliest possible point in the design-to-market process in order to avoid costly mistakes, and requirements for multiple iterations of product design and even tooling as solutions to micro moulding problems are sought. Micro medical plastic product manufacture requires that the relationship between OEM and micro moulding specialist is a true partnership, but often run differently from a traditional OEM/supplier relationship. In micro manufacturing, most of the mission critical issues occur at the design and prototyping stage of product development. This can and often does include material choice and even packaging considerations. A true partnership will ensure faster time-to-market with more efficient and lower cost products. As the demand from medical device OEMs grows in the area of precision engineering, a burgeoning number of technology and service providers are helping to fulfil their requirements. There is an active, growing, dynamic, and interested community of professionals in the precision engineering sector, and best results are achieved when this community networks and exchanges information. Medical device OEMs and technology providers are not two discrete groups in the precision engineering field. It is vital for medical device OEMs to tap into networks, events, and information resources in order to understand what opportunities exist, and which technologies and service providers to engage and partner with. The word partnership is used advisedly. Stimulating partnerships and relationships are the lifeblood of future commercial successes. For the technology supplier, partnerships with medical device OEMs are often vital to evolve and optimise solutions, and there is a pragmatic understanding that inducing OEMs to become early adopters is perhaps the only way to ensure that technologies are produced that best service industry requirements. euspen has been working in the dynamic precision engineering and micro manufacturing niche for years, and is therefore aware of the potentials to exploit and the pitfalls to avoid, as well as areas of innovation that are dawning and which provide huge potential for product development and market exploitation. What is obvious to all involved in the precision, micro, and nano manufacturing arena today is that recent groundbreaking manufacturing solutions offer the potential right now for efficient and cost-effective mass manufacture. Technologies that yesterday were being proved and tested, and were seen at best as prototyping technologies, are now scalable and delivering millions of parts a year. euspen is an institution that is geared up to help medical device OEMs and technology providers alike to take advantage of the opportunities that exist today, and raise awareness of the “new kids on the block” that will continue to revolutionise and change what OEMs make and how they manufacture. euspen has been actively pioneering advancements in precision engineering and nanotechnology since 1998, and its roots were planted when a group of leading European industrialists and academics came together with a shared desire to establish a networking forum for the already important (but nascent) precision engineering and nanotechnology community. Their aim was to establish a body that worked alongside and complemented societies in the United States and Japan that were already working in the sector. From little acorns might oak trees grow, and today euspen is recognised by the great and the good in the precision engineering and nanotechnology sector as a highly creative and respected body. However, the euspen board also appreciate that the Society must continually adapt, evolve, and grow its reach in order to fulfil its explicit networking and information exchange mission. As it stands, euspen already has representation in 32 countries, with its focus on best-in-class machining, processing, and metrology technology solutions, and has an eye-wateringly impressive array of members and sponsors including among many others technology and service providers like Aerotech (precision motion control and positioning systems), Agilent (precision measurement), ASML (lithography systems for the semi-conductor industry), Bosch (leading global supplier of technology and services), Cranfield Precision (high precision machine tools), Heidenhain GmbH (equipment for demanding positioning tasks), Hexagon Metrology (industrial metrology applications), IBS Precision Engineering (intelligent measurement solutions), DMP (integral solutions for niche mechanical activities), Precitech (ultra-precision turning machines), and Renishaw (precision metrology and spectroscopy solutions). euspen’s mission to assist in the continual development and advancement of the European precision engineering and nanotechnology sectors, means that its aims and plans are clear. Today begins a huge push from euspen to attract more members from medical device OEMs manufacturing product in the precision engineering field, technology and service providers, academics, and researchers alike. As already noted, it is the cross fertilisation of ideas, and the drawing together of all professionals in the sector that will ensure success. Membership opens up a world of possibilities, and allows companies to raise their profiles and get actively involved in the global engineering and technology community. Ideas can be exchanged with other members worldwide, bringing in fresh ideas and new perspectives. This gears up all players in the sector, large or small, to be best equipped for the business, manufacturing challenges and opportunities ahead, and allows access to the information and competencies that will lead to a competitive edge. So far, euspen has attracted over 4000 experts in the precision and nanotechnology area, and this makes it already one of the most influential global players in precision, micro, and nano manufacturing. It is an often stated and very real claim that today, business knows no borders, and must be conducted on a global basis. All involved in rapidly changing and dynamic sectors such as the precision engineering industry must grasp any and all opportunities to gain competitive edge. euspen recognises this, and offers its members not just 365 days a year networking opportunities with the cream of professionals working in the field, but also hosts a series of landmark events and meetings, and produces a range of peer-reviewed publications designed to stimulate innovation and excellence. The next global forum for the precision engineering and nanotechnology sector is euspen’s 15th Annual Conference and Exhibition to be held in Leuven, Belgium 1-5 June 2015. This event is the focus for the precision engineering community and brings together a plethora of experts presenting keynote papers and seminars, and an impressive array of exhibitors. euspen is also rightly recognised as a significant driver in the advancement of precision engineering in education. 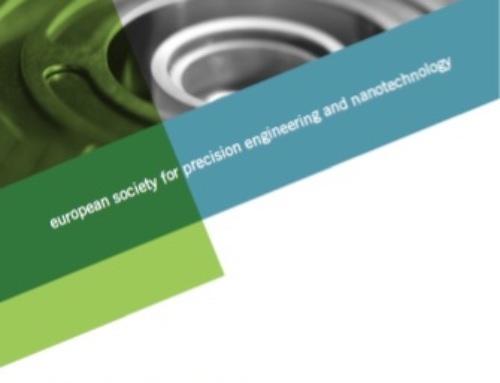 In addition to supporting young technologists through scholarships, bursaries, a European certification programme and dedicated training events, in 2015 the Society is running the euspen Challenge 2015, an international competition to identify students from across Europe with the potential to be future leaders in the field of precision engineering and nanotechnology. Key to success in all areas of precision engineering and nanotechnology is industrial partnerships. For medical device OEMs it is vital that technology and service suppliers are not seen as remote players, but rather project partners that should be embraced in product development programmes at the earliest possible point in the design-to-market process. Precision engineering requires that the relationship between medical device OEM and technology specialist is a true partnership, but often run differently from a traditional OEM/supplier relationship. In precision engineering, most of the mission critical issues occur at the design and prototyping stage of product development. A true partnership will ensure faster time-to-market with more efficient and lower cost products. Similarly, “partnerships” between technologists, academics, and medical device OEMs ensure success in R&D initiatives and the optimisation of the technology solutions that keep pushing the boundaries of what is possible in precision engineering and nanotechnology. In a sector of industry where every week brings new challenges and new opportunities, there is a necessity for medical device OEMs, technologists, and academics to embed themselves in the community of experts that drive innovation. This will allow them to be in a position to continue to surf the wave of new commercial opportunities and remain competitive. euspen remains the single most comprehensive and influential Society in the precision engineering and nanotechnology sector, and membership must surely be considered by anyone already involved in or planning to move into this exciting, dynamic, and innovative area of industry.